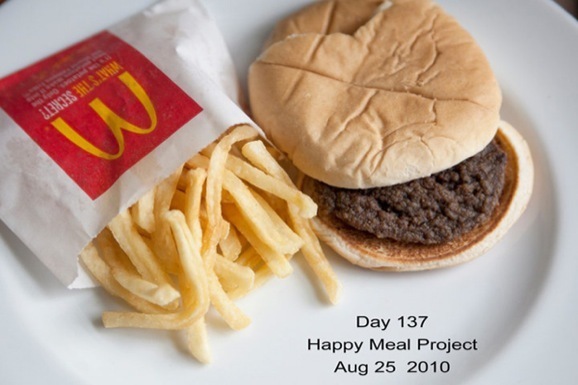 A project of artist Sally Davis, to photograph a Happy Meal everyday for a few months to watch the deterioration, has illuminated a surprising fact – it doesn’t seem to change at all?! Bizarrely, the burger and fries look pretty similar after 140 unrefrigerated days exposed to the elements as they did on day one – no mold growth at all. If mold won’t eat at Micky D’s…what does that say about those of us that do?